Top quality carpet cleaning services in Bayswater W2 provided by qualified professional carpet cleaners from First Class Cleaner. Give us a call now and get an instant quote! Cleaning your carpet regularly with the vacuum machine does not guarantee perfect hygiene of the carpet. It is a fact that carpets collect bacteria and dust mites, which get stuck in the debris and can be removed only if the carpet is cleaned thoroughly. However, every carpet is made of different types of materials, which have to be considered before the cleaning process has even started. Otherwise, this can result in a damaged carpet. No matter if you carpet is small or large, expensive or on a budget, we are here to help you provide it with perfect cleanness. Carpet cleaning is an option, available in our list of cleaning services, which we provide our customers with. We understand the importance of cleaning a carpet thoroughly and we know that it might be quite a challenge sometimes. Therefore, we work with trained professionals, who know everything, concerning different types of carpets and their cleaning. To clean a carpet properly, the first step is to determine the materials it’s made of. Then, it’s necessary to make sure the right detergents are used, if you don’t want to damage the carpet. We work with biodegradable cleaning products only. All of them are free of chemicals and are very mild for the fabrics of every type of carpet. At the same time, they are strong enough to remove though stains and bacteria. The most effective way to provide your carpet with hygiene and make sure it’s free of dust mites and other allergens, is to use professional carpet cleaning services. We set up this cleaning company, wanting to prove that quality and low prices can easily exist together. We offer excellent cleaning services at competitive prices. 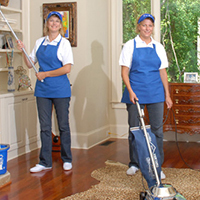 Our cleaners are experienced professionals, who guarantee ideal and quick completion with the tasks. Call us.